Diwali the festival of lights, hope and prosperity is around the corner. It is the time to celebrate togetherness with oodles of happiness! However, we need to remember, enjoyment and health go hand-in-hand. Your health and your family’s health is the priority. The question is how to achieve it? Enjoy a healthy wali Diwali with these simple tips. Festivals can be celebrated to the fullest only if you are fit and fine. Do not avoid your exercise routine. Enjoy the breezy October with a morning walk or Yoga. Double up your happiness by following diet and fitness tips in Diwali and be ready to munch two more laddoos! Try to spend a gadget-free festival this time and see how old laughter-filled times return with family and friends. Gifts can be the gesture of showing gratitude and love to the family members. Surprise your parents with a small healthy gift. 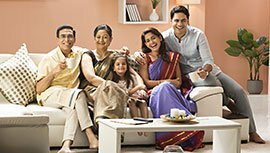 Be innovative; give preventive health checkup and full body check up as a Diwali gift option to your parents. Diwali means loads of delicious food and no one can resist that. Do not stay away from your favorite dishes, however, make it a point to drink sufficient water so that you are hydrated and the grueling October heat doesn’t affect you. Say no to crackers as they cause noise and smoke, which affect all especially young, old, and pets. Let’s celebrate pollution free Diwali. Indulging in creative activities like making diyas, lanterns can be a fun-filled family time activity. You can create innovative biodegradable diyas from orange peels. It is an instant era and we are tempted to buy and eat outside food and sweets, which can lead to several health problems. Instead, surprise your mom, help her with her special delicacy cooking, and say good-bye to the loads of calories that come with outside food. Mom’s love combined with ghee won’t cause much calorie gain. Homemade sweets can also be a healthy gift for your friends. Pets are also highly affected by the noise pollution. Take care of your pets, keep them at home, draw curtains and cover their ears if possible. If you love crackers, go for pollution-free crackers. Wear well-fitting cotton outfits while you burst crackers to avoid any mishaps. 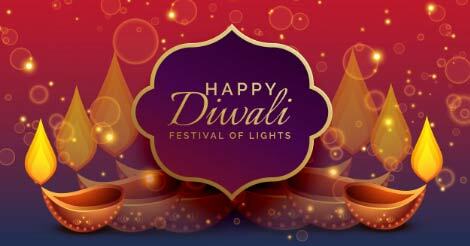 Enjoy your Diwali with your dear ones; let the festival bestow your life with hopes, happiness and health! To receive health updates, resolve health concerns and for any further guidance on health-check-up packages by Indus Health Plus, tips-for-safe-and-healthy-wali-diwalifill the query form and our executives will get in touch with you soon. Cherish good health!